Shelton Jaya Sdn Bhd register as a sole proprietor since 1983. From the humble beginning of a single factory of 100 square metres, with supply of aluminum frame, door, window, glass works & gypsum board partition. 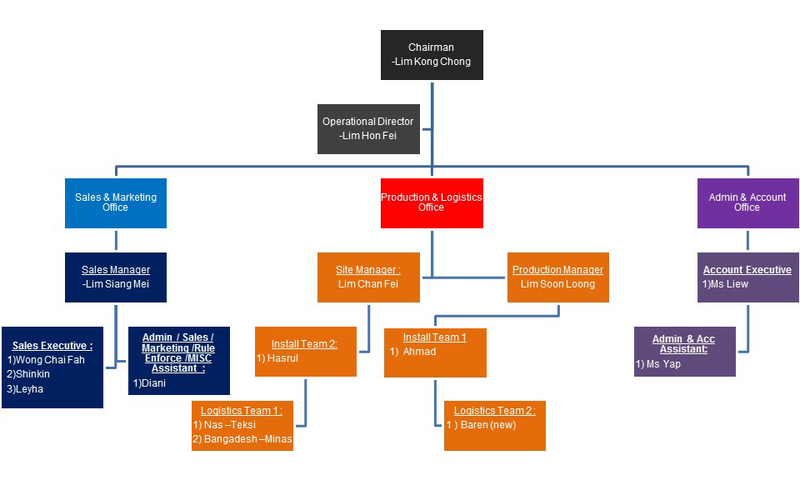 It run by our director , Lim Kong Choong with 20 year experience in the glass & aluminum industry . Our company objective is provide the quality service & product with reasonable price &after sales service. During the year, we always recruit technique staff to backup our quality product and after sales service. In year 1990 , our company move to a new factory with office & store in Taman Industri Puchong .In 28 Oct 2008, our company director set up a another company which is Shelton Trading & Marketing Sdn Bhd for trading building material purpose and also can lower our raw material cost . It also start to get involve in Office Furniture Industry in 2009 to become a strategies partner of our office renovation business such as supplying office open plan partition, workstation, office chair & steel furniture.